These Terms of Service ("Terms") govern your access to and use of POLLticipate services, including our websites, text messaging and email notifications, applications, (the "Services" or “POLLticipate”), and any information, text, graphics, photos or other materials uploaded, downloaded or appearing on the Services (collectively referred to as "Content"). Your access to and use of the Services are conditioned on your acceptance of and compliance with these Terms. By accessing or using the Services you agree to be bound by these Terms. You are responsible for your use of POLLticipate Services, for any Content you submit to the Services, and for any resulting consequences. The Content you submit, except for personal information (including personal demographic information) is viewable by other users of the Services. You should only provide Content you are comfortable sharing with others under these Terms. You may use the Services only if you can form a binding contract with POLLticipate and are not a person barred from receiving services under the laws of the United States or other applicable jurisdiction. If you are accepting these Terms and using the Services on behalf of a company, organization, government, or other legal entity, you represent and warrant that you are authorized to do so. You may use the Services only in compliance with these Terms and all applicable local, state, national, and international laws, rules and regulations. The Services that POLLticipate provides are always evolving and the form and nature of the Services that POLLticipate provides may change from time to time without prior notice to you. In addition, POLLticipate may stop (permanently or temporarily) providing the Services (or any features within the Services) to you or to users generally and may not be able to provide you with prior notice. We also retain the right to create limits on use and storage at our sole discretion at any time without prior notice to you. The Services POLLticipate provides are always evolving and the form and nature of the Services POLLticipate provides may change from time to time without prior notice to you. In addition, POLLticipate may stop (permanently or temporarily) providing the Services (or any features within the Services) to you or to other users generally and may not be able to provide you with prior notice. You are specifically prohibited from sharing your account and password with another person. You are responsible for safeguarding the password you use to access the Services and for any activities or actions under your password. We encourage you to use "strong" passwords (passwords that use a combination of upper and lower case letters, numbers and symbols) with your account. POLLticipate cannot and will not be liable for any loss or damage arising from your failure to comply with the above. We do not endorse, support, represent or guarantee the completeness, truthfulness, accuracy, or reliability of any Content or communications submitted via the Services or endorse any opinions expressed via the Services. You agree that by using the Services, you may be exposed to Content that might be offensive, harmful, inaccurate or otherwise inappropriate, or in some cases, submissions that have been mislabeled or are otherwise deceptive. Under no circumstances will POLLticipate be liable in any way for any Content, including, but not limited to, any errors or omissions in any Content, or any loss or damage of any kind incurred as a result of the use of any Content posted, emailed, transmitted or otherwise made available via the Services or broadcast elsewhere. You retain your rights to any Content you submit or display on or through the Services. By submitting, posting or displaying Content on or through the Services, you grant us a worldwide, non-exclusive, royalty-free license (with the right to sublicense) to use, copy, reproduce, process, adapt, modify, publish, transmit, display and distribute such Content in any and all media or distribution methods (now known or later developed). You agree that this license includes the right for POLLticipate to provide, promote, and improve the Services and to make Content submitted to or through the Services available to other companies, organizations or individuals who partner with POLLticipate for the syndication, broadcast, distribution or publication of such Content on other media and services, subject to our terms and conditions for such Content use. Such additional uses by POLLticipate, or other companies, organizations or individuals who partner with POLLticipate, may be made with no compensation paid to you with respect to the Content you submit or otherwise make available through the Services. You are responsible for your use of the Services, for any Content you provide, and for any consequences thereof, including the use of your Content by other users and our third party partners. You understand that your Content may be syndicated, broadcast, distributed, or published by our partners and if you do not have the right to submit Content for such use, it may subject you to liability. POLLticipate will not be responsible or liable for any use of your Content by POLLticipate in accordance with these Terms. You represent and warrant that you have all the rights, power and authority necessary to grant the rights granted herein to any Content that you submit. POLLticipate gives you a personal, worldwide, royalty-free, non-assignable and non-exclusive license to use the software provided to you by POLLticipate as part of the Services. This license is for the sole purpose of enabling you to use and enjoy the benefit of the Services as provided by POLLticipate, in the manner permitted by these Terms. All right, title, and interest in and to the Services (excluding Content provided by users) are and will remain the exclusive property of POLLticipate and its licensors. The Services are protected by copyright, trademark, and other laws of both the United States and foreign countries. Nothing in the Terms gives you a right to use the POLLticipate name or any of the POLLticipate trademarks, logos, domain names, and other distinctive brand features. 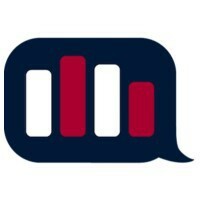 Any feedback, comments, or suggestions you may provide regarding POLLticipate, or the Services is entirely voluntary and we will be free to use such feedback, comments or suggestions as we see fit and without any obligation to you. We reserve the right at all times (but will not have an obligation) to remove or refuse to distribute any Content on the Services, to suspend or terminate users, and to reclaim usernames without liability to you. We also reserve the right to access, read, preserve, and disclose any information as we reasonably believe is necessary to (i) satisfy any applicable law, regulation, legal process or governmental request, (ii) enforce the Terms, including investigation of potential violations hereof, (iii) detect, prevent, or otherwise address fraud, security or technical issues, (iv) respond to user support requests, or (v) protect the rights, property or safety of POLLticipate, its users and the public. You may not do any of the following while accessing or using the Services: (i) access, tamper with, or use non-public areas of the Services, POLLticipate’s computer systems, or the technical delivery systems of POLLticipate’s providers; (ii) probe, scan, or test the vulnerability of any system or network or breach or circumvent any security or authentication measures; (iii) access or search or attempt to access or search the Services by any means (automated or otherwise) other than through our currently available, published interfaces that are provided by POLLticipate (and only pursuant to those terms and conditions), unless you have been specifically allowed to do so in a separate agreement with POLLticipate (NOTE: crawling the Services is permissible if done in accordance with the provisions published by POLLticipate. However, scraping the Services without the prior consent of POLLticipate is expressly prohibited); (iv) forge any TCP/IP packet header or any part of the header information in any email or Content submission, or in any way use the Services to send altered, deceptive or false source-identifying information; or (v) interfere with, or disrupt, (or attempt to do so), the access of any user, host or network, including, without limitation, sending a virus, overloading, flooding, spamming, mail-bombing the Services, or by scripting the creation of Content in such a manner as to interfere with or create an undue burden on the Services. Please note: We may need to change these restrictions from time to time and reserve the right to do so. Impersonation: You may not impersonate others through the POLLticipate service in a manner that is intended to or does mislead, confuse, or deceive others. We strive to protect people on POLLticipate from technical abuse and spam. Any accounts engaging in the activities specified below may be temporarily locked or subject to permanent suspension. 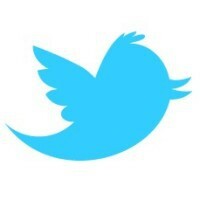 Invitation spam: You may not use twitter.com's address book contact import to send repeat, mass invitations. Selling usernames: You may not buy or sell POLLticipate usernames. POLLticipate respects the intellectual property rights of others and expects users of the Services to do the same. We will respond to notices of alleged copyright infringement that comply with applicable law and are properly provided to us. If you believe that your Content has been copied in a way that constitutes copyright infringement, please provide us with the following information: (i) a physical or electronic signature of the copyright owner or a person authorized to act on their behalf; (ii) identification of the copyrighted work claimed to have been infringed; (iii) identification of the material that is claimed to be infringing or to be the subject of infringing activity and that is to be removed or access to which is to be disabled, and information reasonably sufficient to permit us to locate the material; (iv) your contact information, including your address, telephone number, and an email address; (v) a statement by you that you have a good faith belief that use of the material in the manner complained of is not authorized by the copyright owner, its agent, or the law; and (vi) a statement that the information in the notification is accurate, and, under penalty of perjury, that you are authorized to act on behalf of the copyright owner. The Terms will continue to apply until terminated by either you or POLLticipate as follows. You may end your legal agreement with POLLticipate at any time for any reason by deactivating your accounts and discontinuing your use of the Services. You do not need to specifically inform POLLticipate when you stop using the Services. If you stop using the Services without deactivating your accounts, your accounts may be deactivated due to prolonged inactivity. Nothing in this section shall affect POLLticipate’s rights to change, limit or stop the provision of the Services without prior notice, as provided above in section 1. Please read this section carefully since it limits the liability of POLLticipate and its parents, subsidiaries, affiliates, related companies, officers, directors, employees, agents, representatives, partners, and licensors (collectively, the “POLLticipate Entities”). Each of the subsections below only applies up to the maximum extent permitted under applicable law. Some jurisdictions do not allow the disclaimer of implied warranties or the limitation of liability in contracts, and as a result the contents of this section may not apply to you. Nothing in this section is intended to limit any rights you may have which may not be lawfully limited. Your access to and use of the Services or any Content are at your own risk. You understand and agree that the Services are provided to you on an "AS IS" and "AS AVAILABLE" basis. Without limiting the foregoing, to the maximum extent permitted under applicable law, THE POLLTICIPATE ENTITIES DISCLAIM ALL WARRANTIES AND CONDITIONS, WHETHER EXPRESS OR IMPLIED, OF MERCHANTABILITY, FITNESS FOR A PARTICULAR PURPOSE, OR NON-INFRINGEMENT. The POLLticipate Entities make no warranty and disclaim all responsibility and liability for: (i) the completeness, accuracy, availability, timeliness, security or reliability of the Services or any Content; (ii) any harm to your computer system, loss of data, or other harm that results from your access to or use of the Services or any Content; (iii) the deletion of, or the failure to store or to transmit, any Content and other communications maintained by the Services; and (iv) whether the Services will meet your requirements or be available on an uninterrupted, secure, or error-free basis. No advice or information, whether oral or written, obtained from the POLLticipate Entities or through the Services, will create any warranty not expressly made herein. The Services may contain links to third-party websites or resources. You acknowledge and agree that the POLLticipate Entities are not responsible or liable for: (i) the availability or accuracy of such websites or resources; or (ii) the content, products, or services on or available from such websites or resources. Links to such websites or resources do not imply any endorsement by the POLLticipate Entities of such websites or resources or the content, products, or services available from such websites or resources. You acknowledge sole responsibility for and assume all risk arising from your use of any such websites or resources. TO THE MAXIMUM EXTENT PERMITTED BY APPLICABLE LAW, THE POLLTICIPATE ENTITIES SHALL NOT BE LIABLE FOR ANY INDIRECT, INCIDENTAL, SPECIAL, CONSEQUENTIAL OR PUNITIVE DAMAGES, OR ANY LOSS OF PROFITS OR REVENUES, WHETHER INCURRED DIRECTLY OR INDIRECTLY, OR ANY LOSS OF DATA, USE, GOOD-WILL, OR OTHER INTANGIBLE LOSSES, RESULTING FROM (i) YOUR ACCESS TO OR USE OF OR INABILITY TO ACCESS OR USE THE SERVICES; (ii) ANY CONDUCT OR CONTENT OF ANY THIRD PARTY ON THE SERVICES, INCLUDING WITHOUT LIMITATION, ANY DEFAMATORY, OFFENSIVE OR ILLEGAL CONDUCT OF OTHER USERS OR THIRD PARTIES; (iii) ANY CONTENT OBTAINED FROM THE SERVICES; OR (iv) UNAUTHORIZED ACCESS, USE OR ALTERATION OF YOUR TRANSMISSIONS OR CONTENT. IN NO EVENT SHALL THE AGGREGATE LIABILITY OF THE POLLTICIPATE ENTITIES EXCEED THE AMOUNT YOU PAID POLLTICIPATE, IF ANY, IN THE PAST SIX MONTHS FOR THE SERVICES GIVING RISE TO THE CLAIM. THE LIMITATIONS OF THIS SUBSECTION SHALL APPLY TO ANY THEORY OF LIABILITY, WHETHER BASED ON WARRANTY, CONTRACT, STATUTE, TORT (INCLUDING NEGLIGENCE) OR OTHERWISE, AND WHETHER OR NOT THE POLLTICIPATE ENTITIES HAVE BEEN INFORMED OF THE POSSIBILITY OF ANY SUCH DAMAGE, AND EVEN IF A REMEDY SET FORTH HEREIN IS FOUND TO HAVE FAILED OF ITS ESSENTIAL PURPOSE. The failure of POLLticipate to enforce any right or provision of these Terms will not be deemed a waiver of such right or provision. In the event that any provision of these Terms is held to be invalid or unenforceable, then that provision will be limited or eliminated to the minimum extent necessary, and the remaining provisions of these Terms will remain in full force and effect. We may revise these Terms from time to time, the most current version will always be at twitter.com/tos. If the revision, in our sole discretion, is material we will notify you via a website notification or an e-mail to the email associated with your account. By continuing to access or use the Services after those revisions become effective, you agree to be bound by the revised Terms. These Services are operated and provided by POLLticipate as an operating unit owned by LifeNmotion, Inc. If you have any questions about these Terms, please contact us. Archive of Previous Terms can be found at https://pollticipate.com/contributeNav. Do you have any thoughts or questions about this Terms of Service? Please, let us know by visiting our FAQs. Thank you for choosing to become a Registered Member of POLLticipate!